Fruit protection device In models 205 and 230 of HF – HFF machines, a plastic fairing can be mounted to prevent the edge of the machine from damaging plants by operating under low foliage. 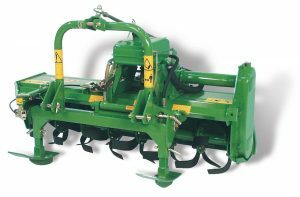 Ability to effectively process under foliage using the various versions available (model HV) Switching from the vineyard version (model HV) to the orchard version (model HF) and decentralized orchard (model HFF) changes the working position of the machine that has not moved and, consequently, changes the maximum displacement position with respect to the centerline of the tractor. The HV model has been a market leader for years Over 10,000 units have been sold over the years, making it reach a level of popularity on the market that has yet to be matched. 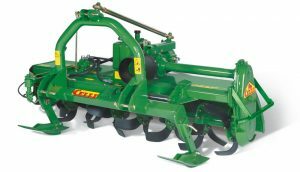 In fact, this machine has become synonymous with automatic side shift rotary tillers. It represents a real reference point for operators in the sector. Two models make it possible to efficiently equip tractors with power ranges between 20 and 70 HP.